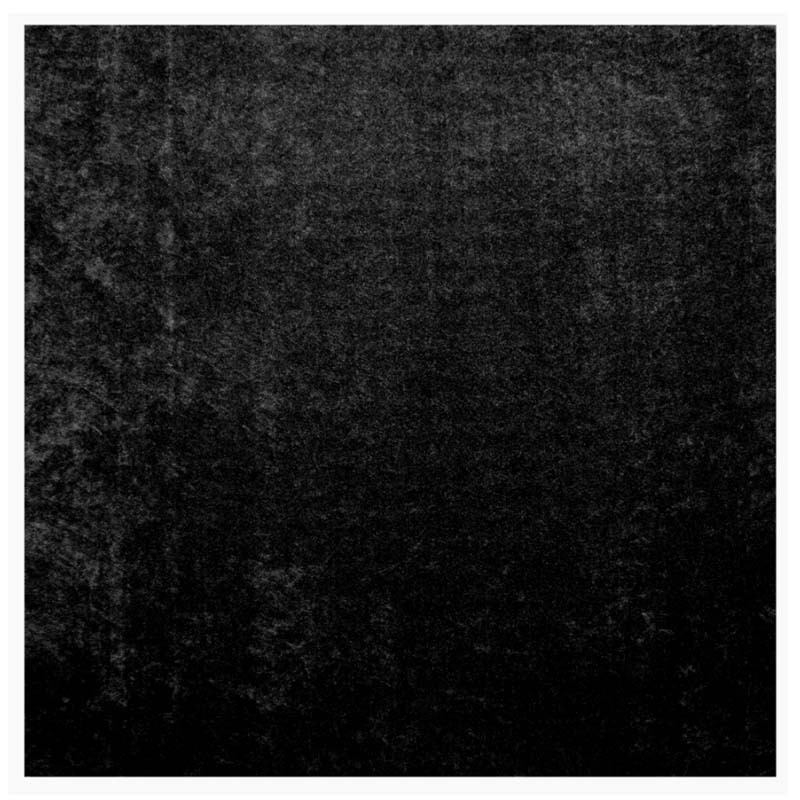 More on the Auralex Acoustics SonoLite Sound Absorption Panels (Black 3 pairs) SLITEBLK_3PR below. 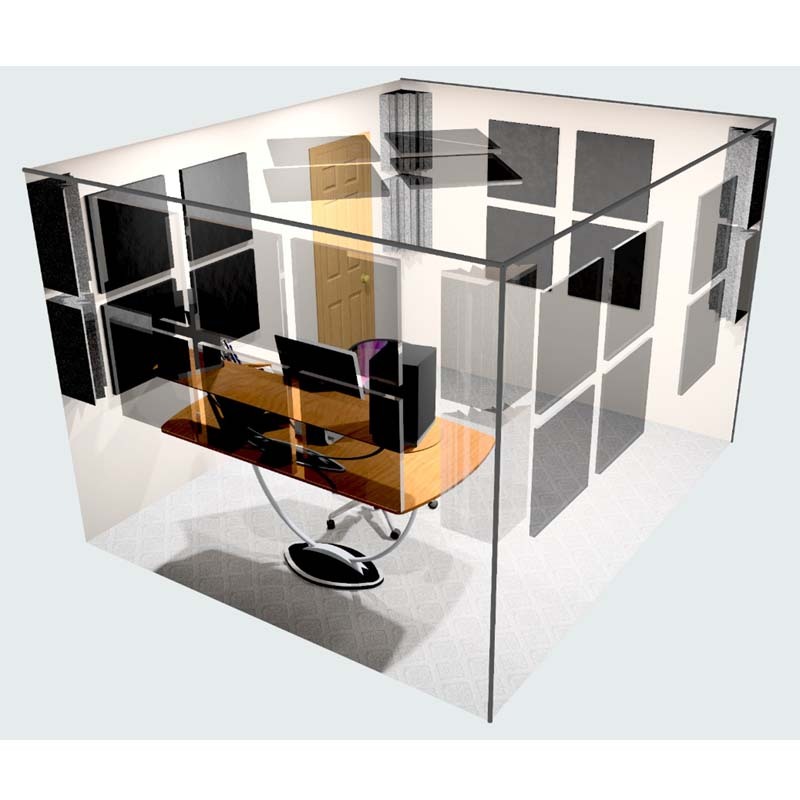 SonoLite absorption panels are designed to reduce unwanted reflections and flutter echo in critical listening environments such as control rooms, live rooms and rehearsal spaces. 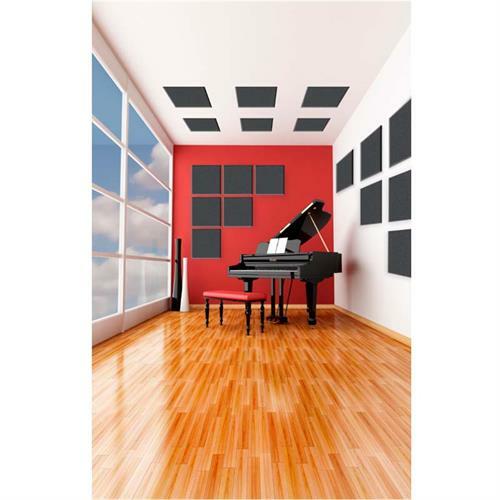 These panels will clean up the sound in your room, and are a cost-effective alternative to fiberglass cloth-covered panels. 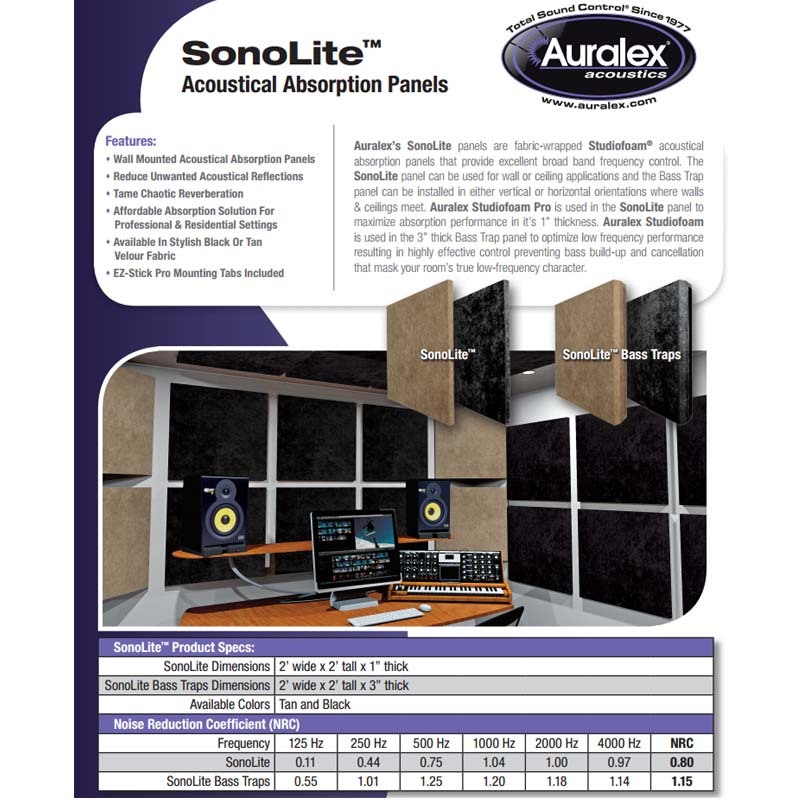 The core of each SonoLite panel is made of Auralex's highly efficient absorbing acoustical foam, Studiofoam Pro. 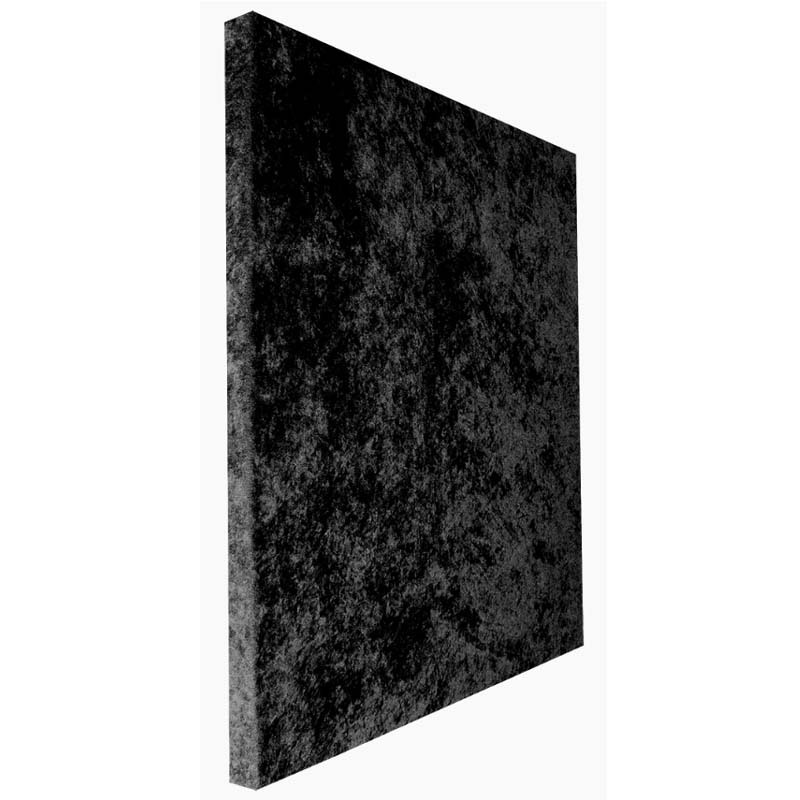 This panel is then covered in a velour fabric to add a stylish appeal to accent the decor of any room. 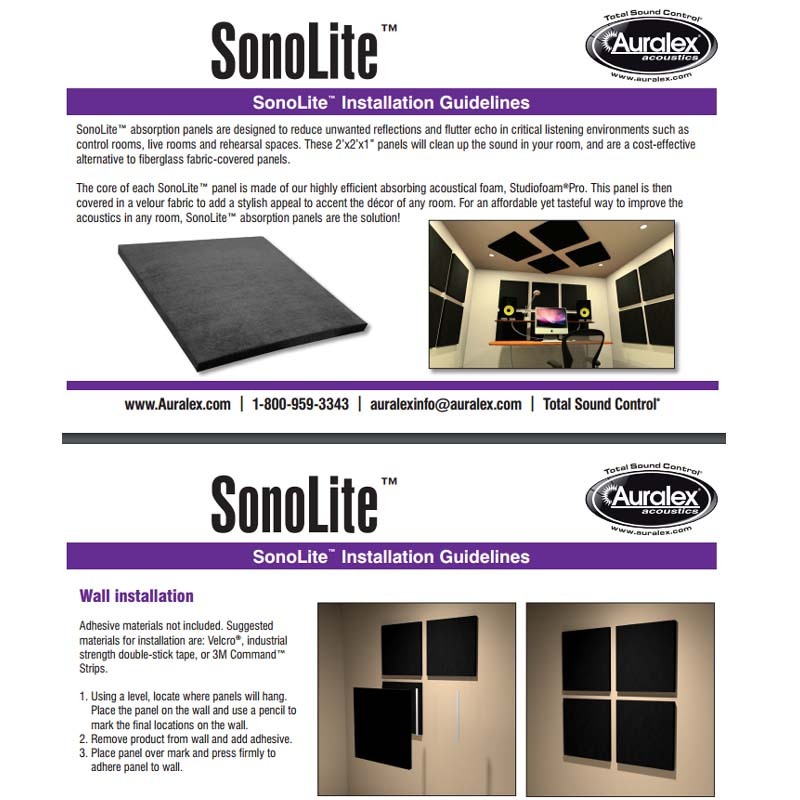 For an affordable yet tasteful way to improve the acoustics in any room, SonoLite absorption panels are the solution! 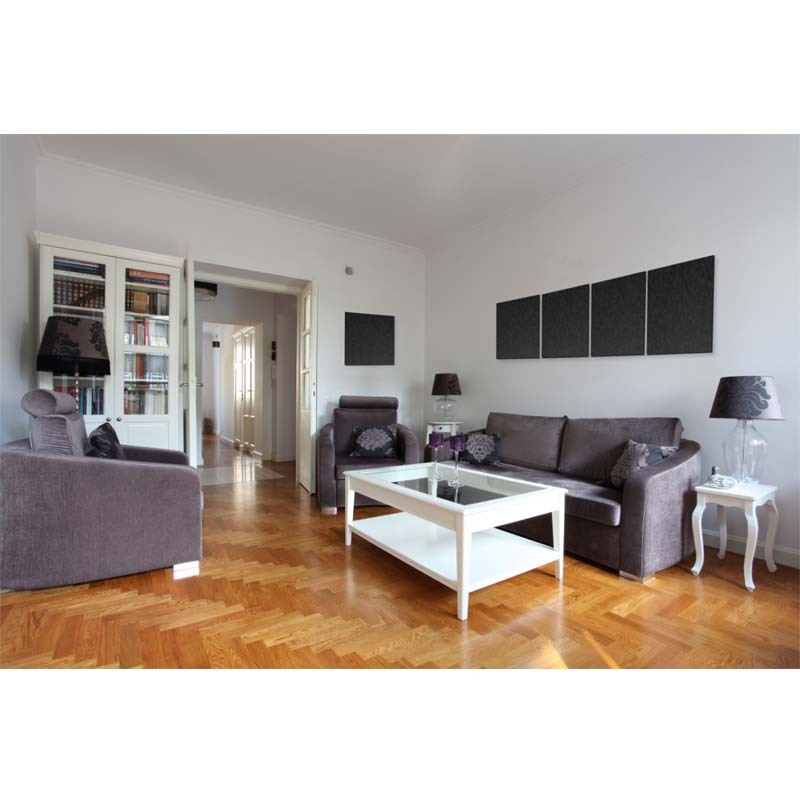 The Auralex SonoLite panels offer great absorption performance in a lightweight and slim 1 inch profile. 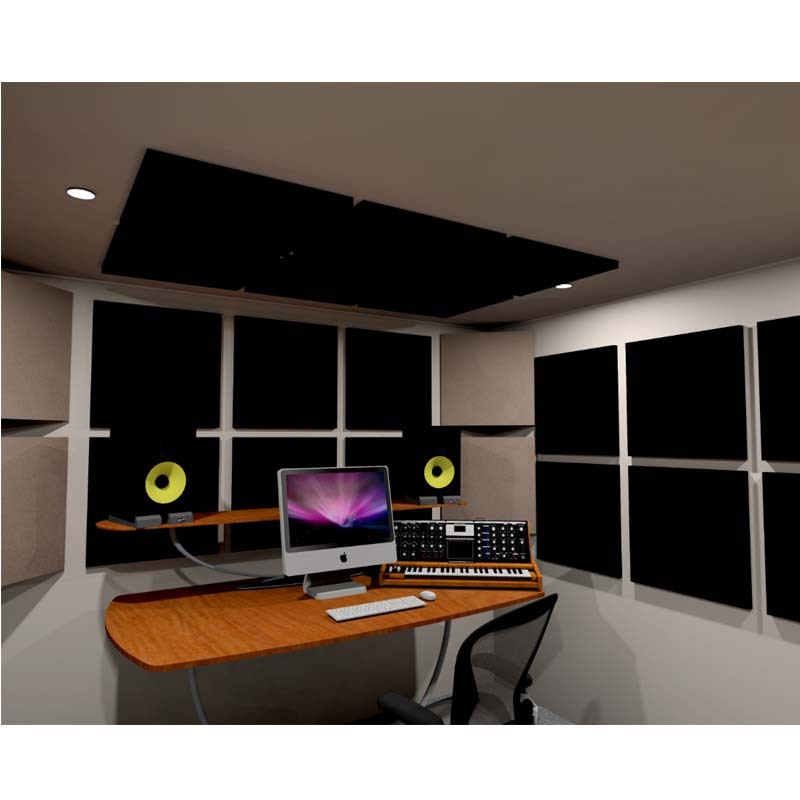 At the core of each panel is Auralex's high performance Studiofoam Pro, allowing the SonoLite wall panel to achieve an NRC rating of 0.80. 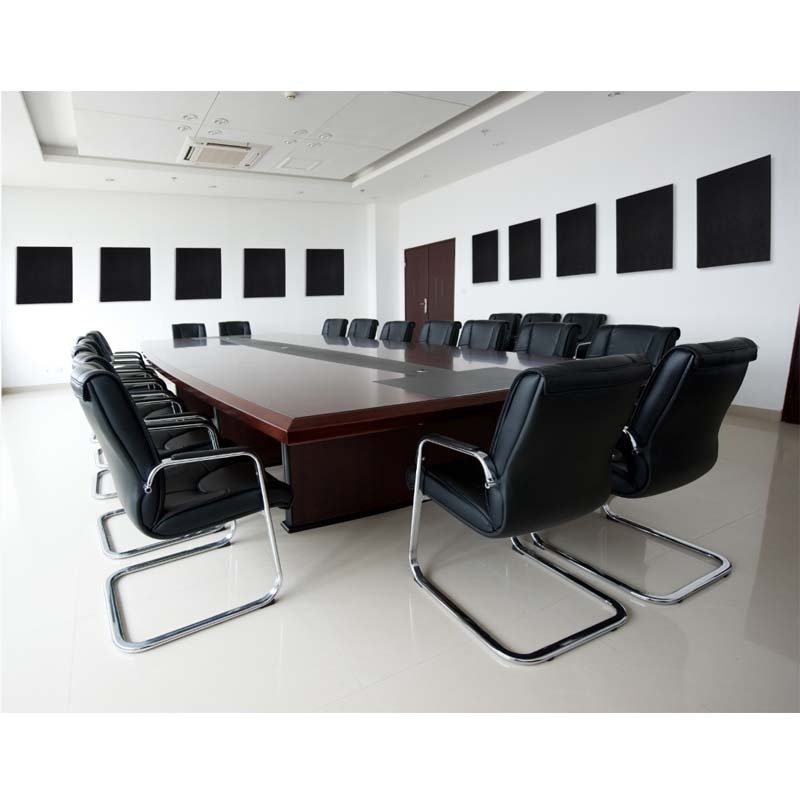 These panels are designed to mount to flat walls and ceilings. For added low frequency control, consider using SonoLite Bass Traps in the corners of your room. 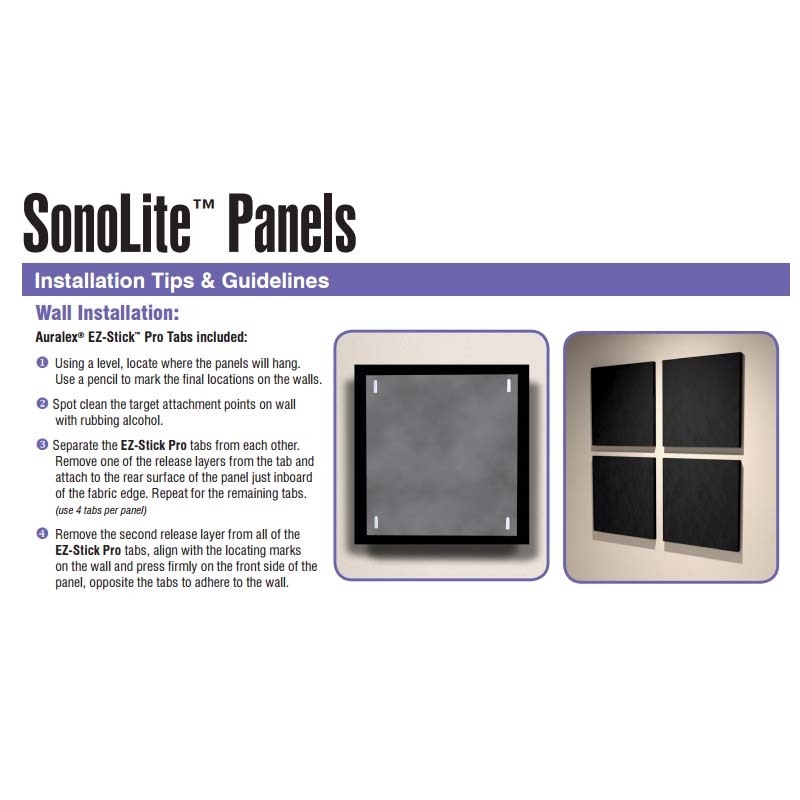 If you are looking for a full wall treatment set, have a look at the SonoLite Sono-Kits and add the brand new SonoLite Cloud Panel System above the listening/mix position to complete the whole room treatment package. Sold separately - see related products below. SonoLite panels are also available in Tan. You can find them as well as SonoLite Bass Traps and SonoLite Cloud Panels in related products below.